Congratulations to Matthew Miller for being our 2018 Fall Member of the Quarter! Congratulations to our 2017-2018 Members of the Year! Congratulations to Luis Jimenez for being our Fall Member of the Quarter! Congratulations to UCLA's very own Dr. Diana Azurdia for being elected onto the SACNAS National Board of Directors! Congratulations to our Fall Members of the Quarter! 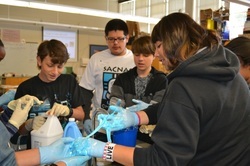 SACNAS featured in Daily Bruin! Congratulations to our Social Chair Abel Ferrel! Abel Ferrel, a 4th year Microbiology, Immunology and Molecular Genetics major jumped into the research world as soon as he arrived at UCLA. The resources on UCLA's campus have helped him achieve his goals and are leading him all the way to Stanford in the fall to receive his Ph.D.! Watch and learn more about this dedicated Bruin! Congratulations to our Spring Members of the Quarter! "Tama Hasson has personally mentored more than 1,000 students through a variety of programs at UCLA, all of which emphasize the success of students from underserved backgrounds. Since arriving at UCLA she has obtained at least 10 grants to support underserved and minority students to achieve educational and research excellence." "In the spring 2014, professor Alfaro was one of the campus leaders who was tasked with developing a proposal to establish a diversity course requirement for undergraduate students in the UCLA College. His leadership contributed to the successful passage of the diversity requirement." Congratulations to our Winter Member of the Quarter! Congratulations to our Fall Member of the Quarter! Our very own co-presidents: Lara Roach and Nancy Quintanilla will be meeting with the Director of the White House Office of Science and Technology Policy. Congratulations to Dr. Paul Barber, who will be honored for his commitment to increase diversity in the STEM field! Dr. Paul Barber will be honored for his commitment to increasing diversity in STEM sciences at the the Society for Advancement of Chicanos/Hispanics and Native Americans in Science (SACNAS) national conference. One of our SACNAS members and Finance Manager, Rachel Lopez, was featured on the AHA website. "Rachel Lopez found her career path when she took a science class in community college. “It was a challenge – I loved it,” she explains. She is now a senior biology major at the University of California, Los Angeles, with a summer research project funded by the Western States Affiliate Undergraduate Student Research Program. It is a study titled 'Mechanistic Role of Histone Proteins in Heart Failure Susceptibility' which cemented her focus on cardiovascular science. 'I am fascinated with anything to do with the heart,' she says. 'If your heart is not working right, you are in trouble.'" Dr. Sonia Zarate, former SACNAS at UCLA Chapter Advisor, was recently appointed to the 2015 SACNAS Board of Director. With her long-term commitment to increasing diversity in the sciences, we are proud of her accomplishment and are certain to expect more wonderful work from her in the future. SACNAS Alumni Jacqueline Graniel makes the UCLA Newsroom! Superstar SACNAS Alumni Jaqueline Graniel was the co-author in recent publication that was featured in the UCLA newsroom. The project, under the direction of UCLA professor, Dr. Walker, "identified a gene that can slow the aging process throughout the entire body when activated remotely in key organ systems." 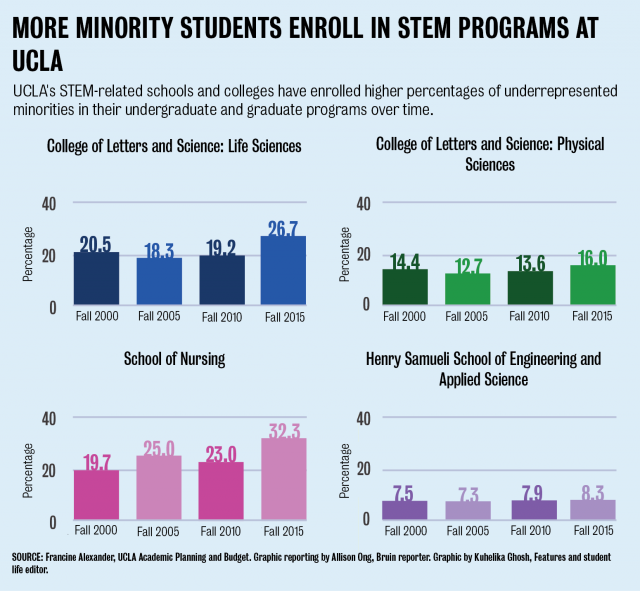 There are many great things to love at UCLA, especially for STEM students. Check out this promotional video created by the SACNAS at UCLA Chapter, highlighting some great opportunities in STEM. It will be featured at this year's National SACNAS Conference, taking place from October 16-18 at the Los Angeles Convention Center. Interested in attending the Conference? REGISTER NOW! SACNAS Alumni Paola Castro makes UCLA Newsroom! Paola served on the UCLA SACNAS Chapter board as Social Chair from 2010-2012. Tiny amounts of alcohol dramatically extend a worm's life, but why? 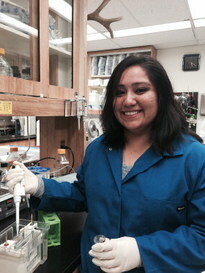 "It is important for other scientists to know that such a low concentration of the widely used solvent ethanol can have such a big effect in C. elegans," said lead author Paola Castro, who conducted the research as an undergraduate in Clarke's laboratory before earning a bachelor's degree in biochemistry from UCLA in 2010 and joining the Ph.D. program in bioengineering at UC Santa Cruz. "What is even more interesting is the fact that the worms are in a stressed developmental stage. At high magnifications under the microscope, it was amazing to see how the worms given a little ethanol looked significantly more robust than worms not given ethanol." You can find the link to the article as well as the original publication below! SACNAS UCLA Chapter makes the UCLA Newsroom!! Extra, extra!!! SACNAS Chapter at UCLA makes the news! Check out our news release on UCLA Newsroom! 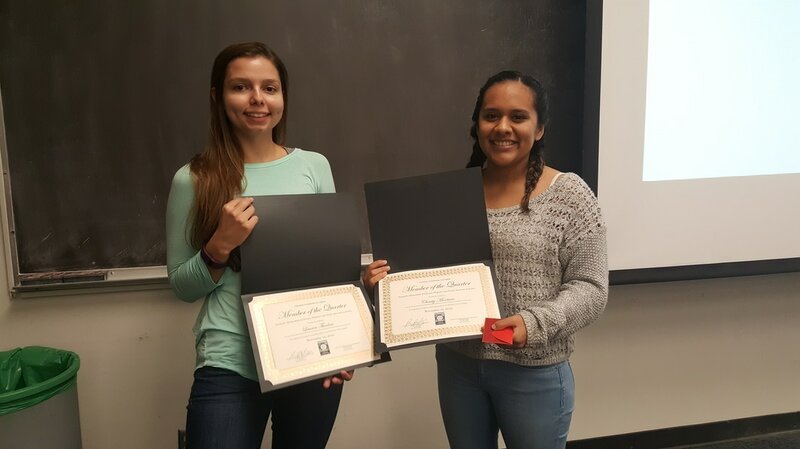 "UCLA student group promotes life of science among young Chicanos, Native Americans"